A playground by the beach, how lovely. 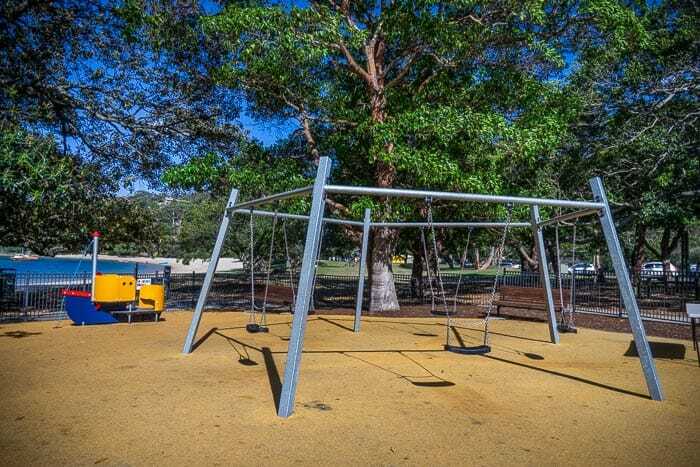 This small but well equipped Balmoral Beach playground is in a fantastic area, just by the netted baths and very close to the famous Boathouse cafe. Terrific! 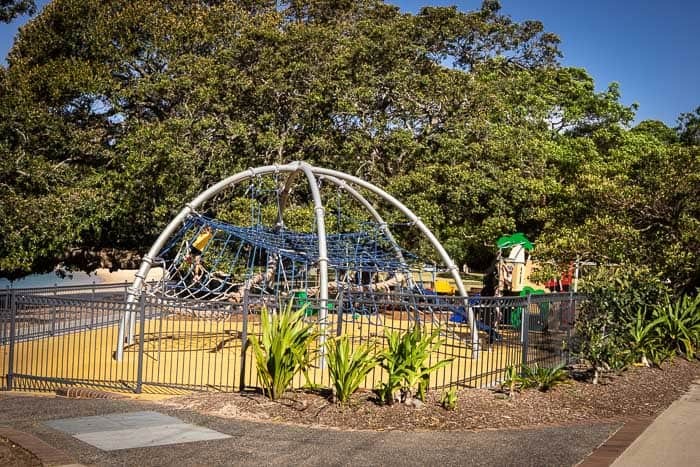 Balmoral playground is also right by the beach just where the trees shade the sand, ideal for babies and small children. 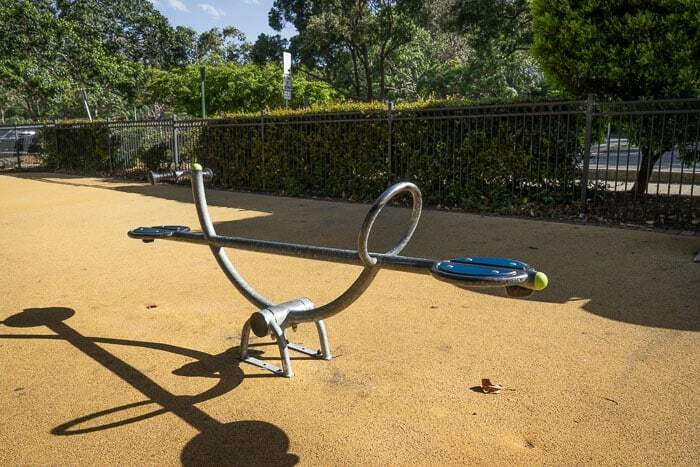 This playground is small but it has some lovely equipment. It’s definitely aimed at younger children, the under fives and primary school aged kids only. 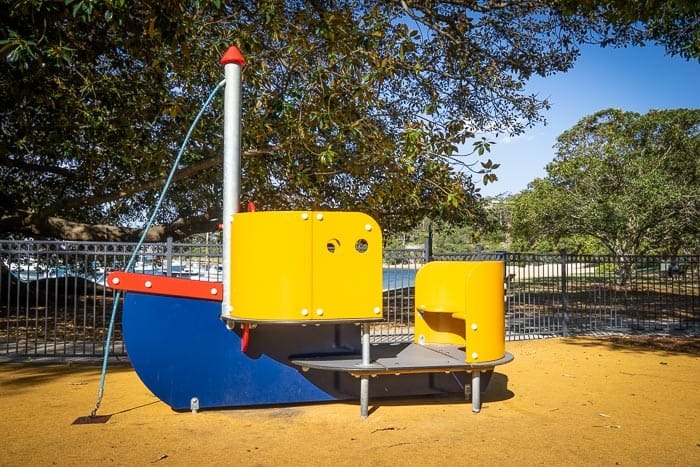 There’s a terrific climbing frame, a circle of swings, a seesaw, a toddlers climbing frame and the boat cubby which has been my kids favourite for many years. This playground’s only drawback really is that it can get FAR too busy on warm days. 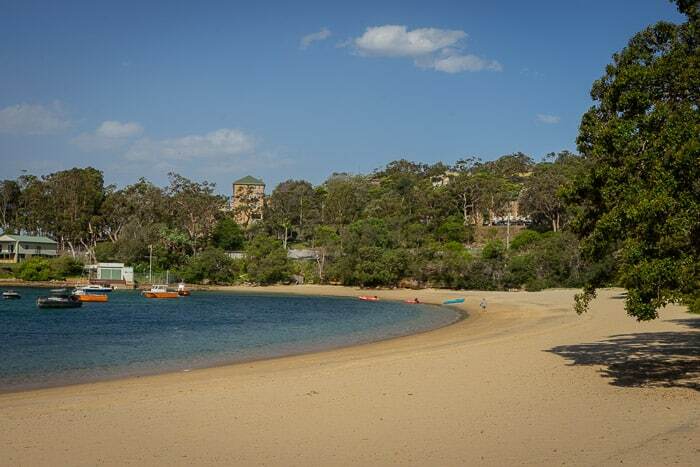 The parking can be hectic and expensive at Balmoral too, but check below on how to avoid Balmoral Beach parking fees. My children have always considered the huge fig trees outside the playground to be just another piece of play equipment. Those poor trees have put up with a lot over the years!! 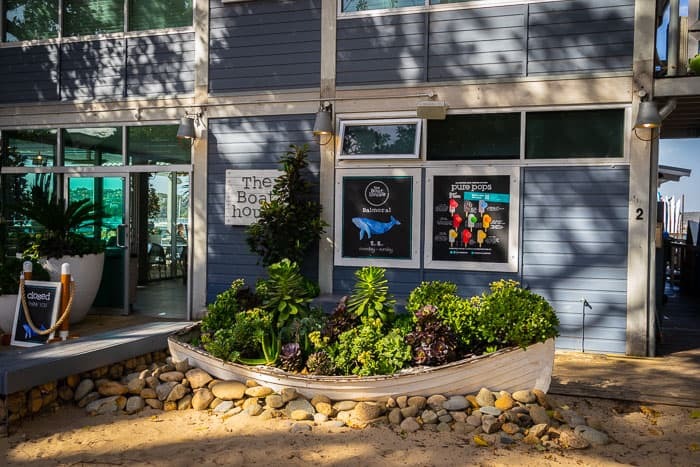 Nearest Coffee: The Boatshed Cafe is right beside the cafe, and a kiosk is close by too. There are other cafes not too far away and a great fish and chip shop across the road and along a bit. Mum’s Report: I love the fact that the cafe is so close and I always, always have a coffee when we come here. This is a great little spot, we have a play here and then a play on the sand and a swim on warm days. 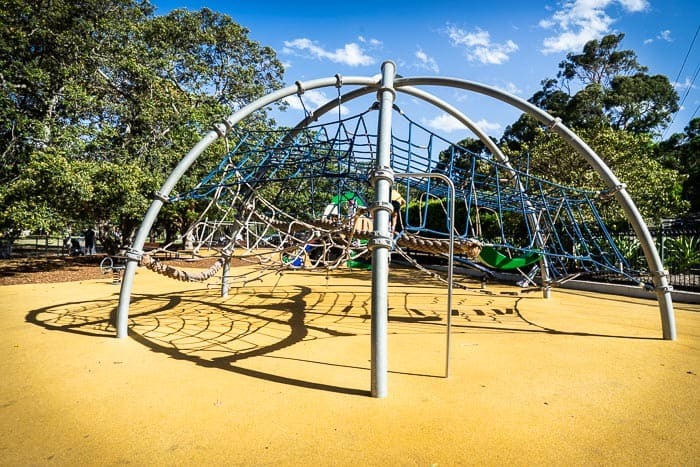 The playground is part of the whole Balmoral package for us. Extra: Close to the playground, across the road and south a little, is an oval with a bike track around it, good for trikes and bikes. 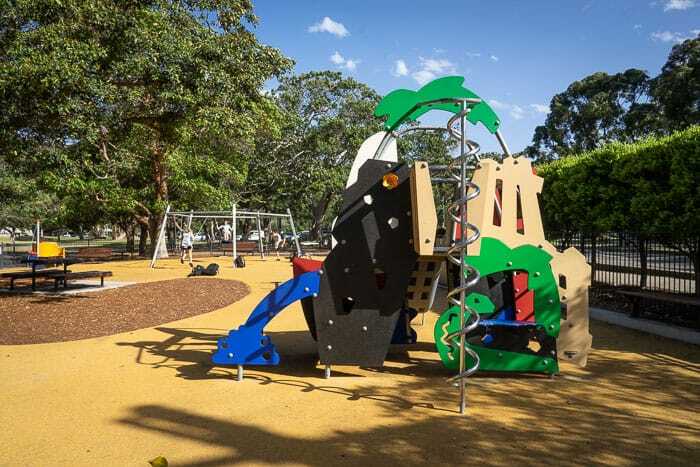 Parking: There is a pay carpark just past the playground and pay street parking along the Esplanade. Balmoral Beach parking can get very busy and is also expensive. If you go back from the beach by a street or two then there’s free street parking. The ideal thing is to have two adults and drop one with the kids and all the gear right by the beach or playground, then go off to find a good, free parking space. Love the dignhy plant pot outside the Boathouse, right beside the playground. This cafe does get very very busy – beware! Happy swimming and playing at Balmoral!